Am I Being Too Forward By Inviting All of You In? Happy Wednesday, duckies! Listen. This is a happy day indeed. Why? Because it's raining (it's pouring, the old man is snoring). Yesterday was the first rain of the season here at Stanford, and I'm giddy with glee. I pulled out my Hunter's of course, and my bubble umbrella. I had a mug of steaming green tea, turned the TV into a fireplace, and plugged in all the Christmas lights. The ambiance, you guys. Ridiculously charming. In the matter of four hours, THREE different people took a nap in my bed. Two of them, twice. I won't name any names, but maybe one of those was me. 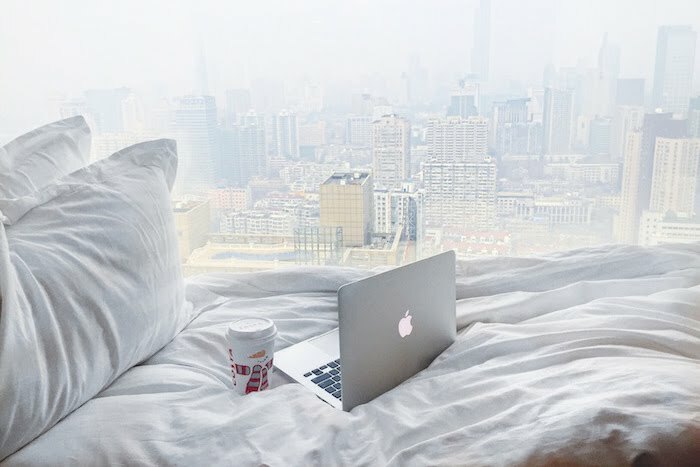 My pillows are right by the window, and so of course when it's raining, my bed is the ultimate napping spot - chilliness, the sound and smell of rain, cozy blankets, and all. I realized then that I haven't shown you guys my room. So here I am today, righting my wrongs. Come, my people. Come see my room. Take a peek at my freshman dorm room and my sophomore dorm room, while you're at it. 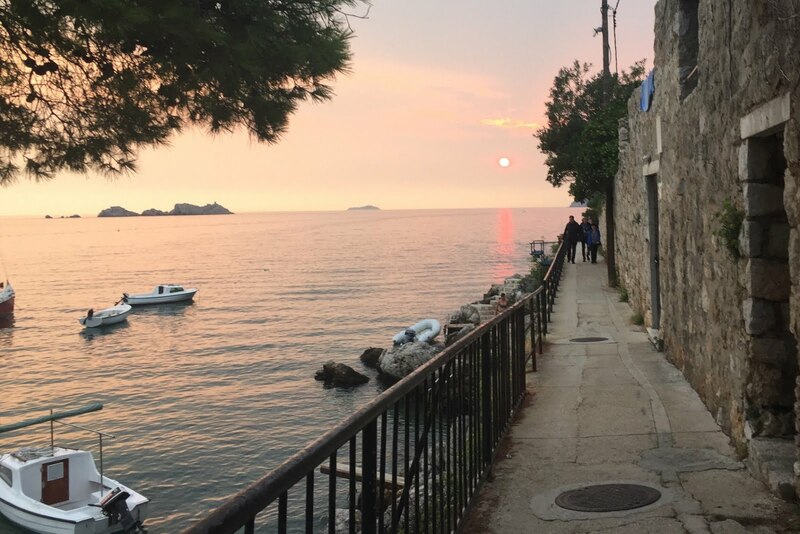 For now, I'm saying ciao, buddies! and am off to enjoy falling asleep with the rain as my lullaby. Can we just talk about how adorable all of this is.. from your words to your photos.. hahaa, I love it! I love this special space, Caroline! 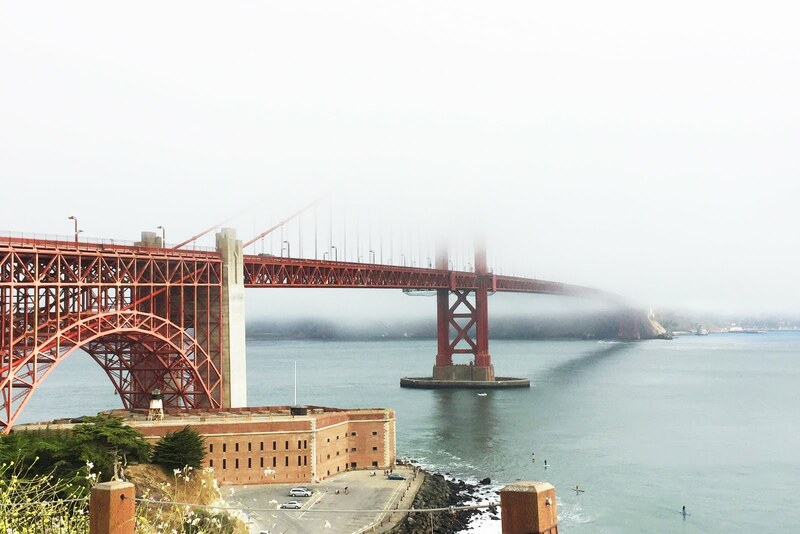 I know you'll miss it :( You will be blogging these next few months, right???! This is adorable! In fact, this room is better than my bedroom at my old college flat and at my mum's house. Now that's baaaaaaaad. I had a whole room (and house) to decorate any which-way I wanted this year and I chose not to haha. I am a poor excuse for a teenager. You, however, can come decorate my house/bedroom/life whenever you want! Haha too cute! Your room is so cute! I love the lights! 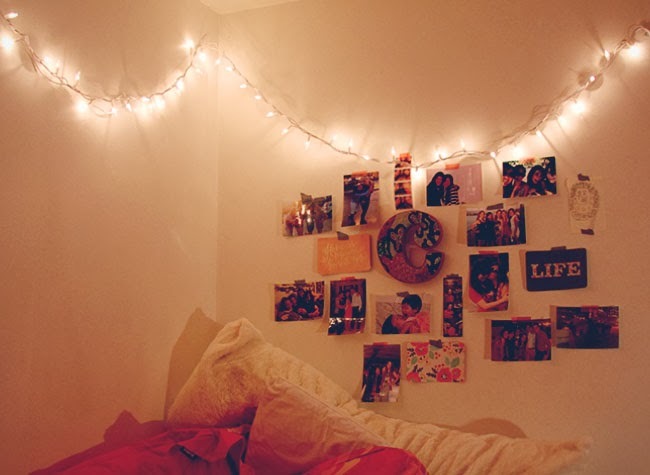 I love the Christmas lights and your wall of pictures!! Definitely not forward! I love getting to know people from how they decorate their rooms! Just great! I have to say again you have to be having one of the best collage experiences ever. Love this so cozy. I remember I had Gustave Klimnt prints hanging on my walls. 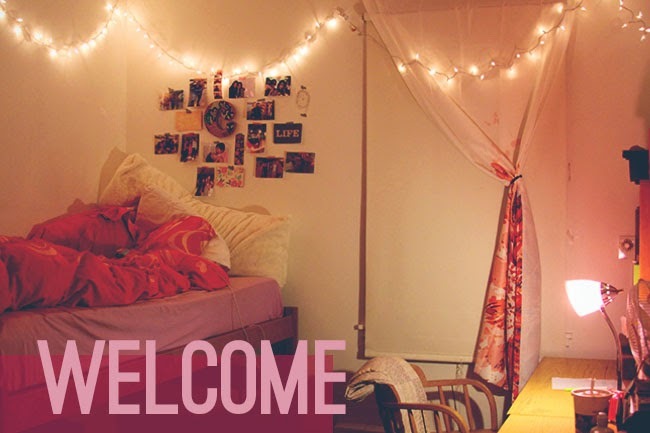 Cute apartment and enjoy college! oh my gosh that is SO much bigger than my dorm room. love the little white lights, adds such a sweet ambience. cute! I lived in the dorms at my college for one year and decided I needed an apartment after haha. our dorms were in an old hotel which had its pros and cons :). 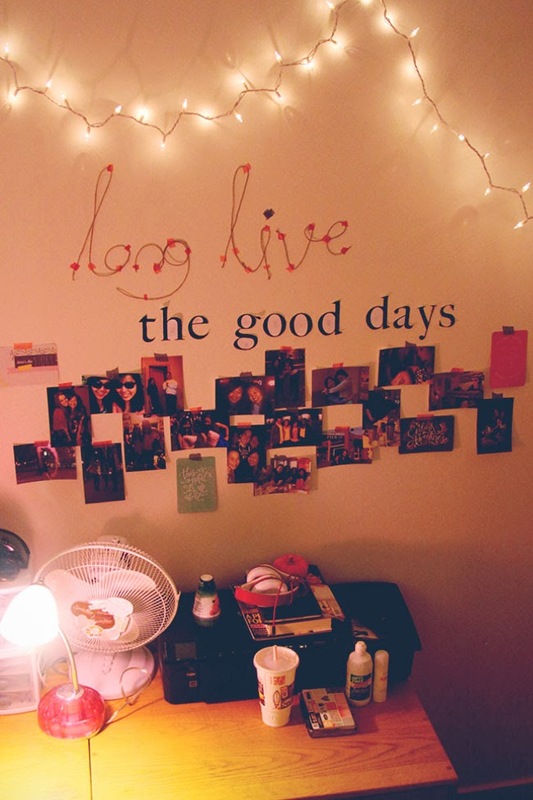 love how you have the string lights and photos. feels cozy. sighhhhh good ol' college days! We love the little white lights! Your room looks really fricking cute! I'd say my dorm room at university last year was roughly the same size! I lived in a flat with 5 other girls, but thankfully we each had our own separate bathrooms! Love the room! Its looks lovely and so cosy! 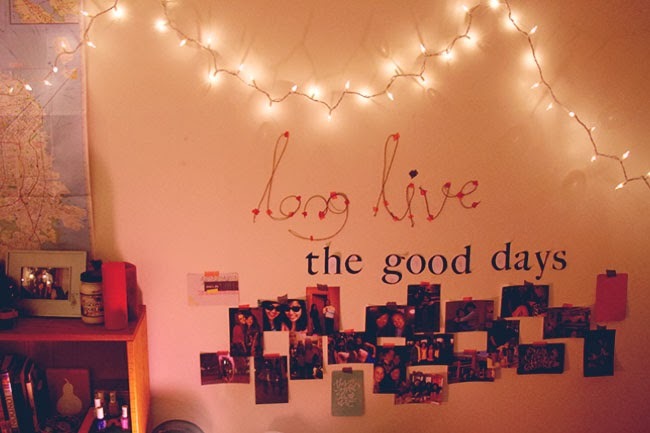 Nice room and decoration :) looks cosy ! I loved that time; such warm, happy memories. I also had similar reflections to you - so kudos to you for expressing them, and always keep writing! I say this now, as someone who is in her 30s, but still remembers her 20's and college days as if they were yesterday... I've been writing as you have, and I've loved and appreciated every moment of it. Cheers, and happy Thanksgiving! This was such a lovely comment to read - thank you so much for taking the time to write it! It's so nice that you have such wonderful memories of your college days. 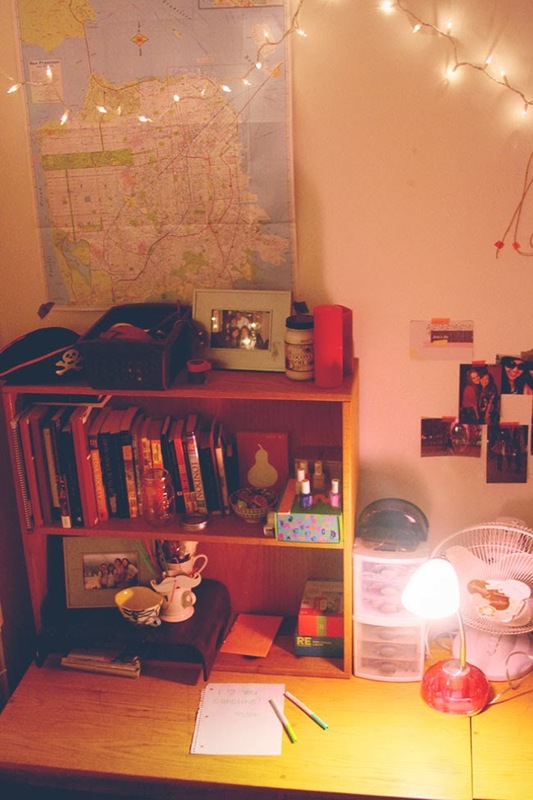 Hopefully 10 years from now, I'll be just as happily nostalgic about mine :) And yes, my room is definitely a study break kind of spot - I think it's seen some joyful memories! I love what you've done with the lights, it looks so homely!